← A Toast for The DFFD Blog’s 1st Birthday! While I continue to try to get the stench of GWAR out of my luggage, here are a couple of final notes from my recent swing through the great state of Wisconsin. If you find yourself in Madison and in need of a Dictators fix, you have 2 options at your semi-convenient disposal. The easiest thing to do is to head into scenic Cross Plains, and find the Gopher Crossing. Since downtown Cross Plains consists of a fruit stand and a church, that shouldn’t be too hard a task. 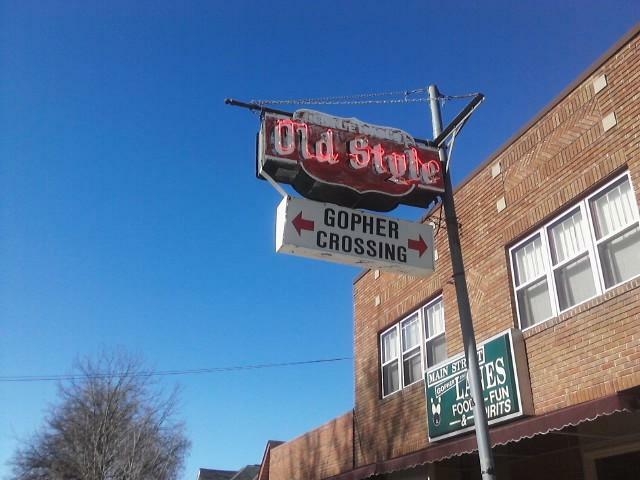 The Gopher Crossing is the one-stop entertainment district for Cross Plains. 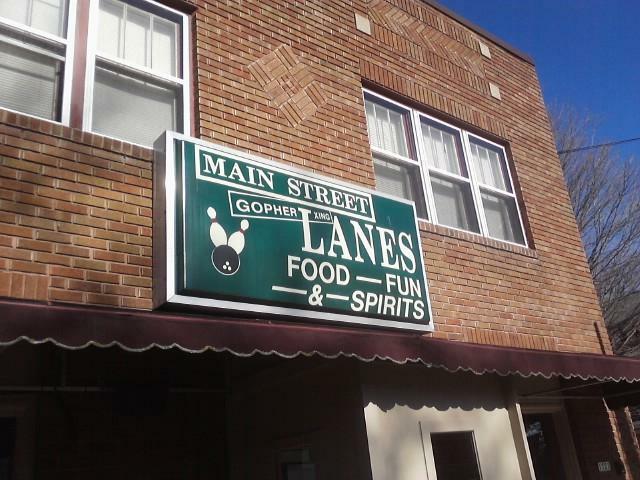 It’s a combo bowling alley, diner, sports pub and function hall. If you skim through the Ds in the digital jukebox, you can inflict the “Bloodbrothers” cd on the unsuspecting clientele. Grab yourself a pitcher of Escher’s, which is the house micro brew, order a batch of Wisconsin oysters (don’t ask), and have some fun ignoring the dirty looks from the other patrons. Your other option for Dictators-related fun might take a little doing on your part. Tully’s Garage is a VERY private club in a western suburb. Entrance fee is a six-pack of Point and knowledge of the secret password (edumacation). Once you’re in, you’ll think you’ve entered God’s rec room! It is home to the greatest jukebox in all of the US of A, where the Dictators 45s occupy the first dozen spots. Add in a ton of old school pinball games, an antique bowling machine, and a hospitality second to none, and you’ll never want to leave. If it had a bathroom, I’d live there. Posh and piffle! Methinks you are selling my little town short. We have two, count ’em, TWO stoplights, eight bars, only seven churches, a Culver’s (2nd only to White Castle in fast food greatness), a Walgreens, a Piggly Wiggly, a gyros place, and a liquor store with a neighboring gun shop. Sure, the livestock (barely) outnumbers the humans, and everything, save for the bars and the gas station, closes at 8PM. Our neighboring town, Black Earth, is home to Steven Cowan, famous for shotgunning his TV over Bristol Palin’s hoofing ability on a recent “Dancing With The Stars”. We take our television, and alcohol consumption, seriously ’round these parts! I’ve never been one to let facts get in the way of a good story.